Scholars use two strategies to organize the history of modern terrorism. 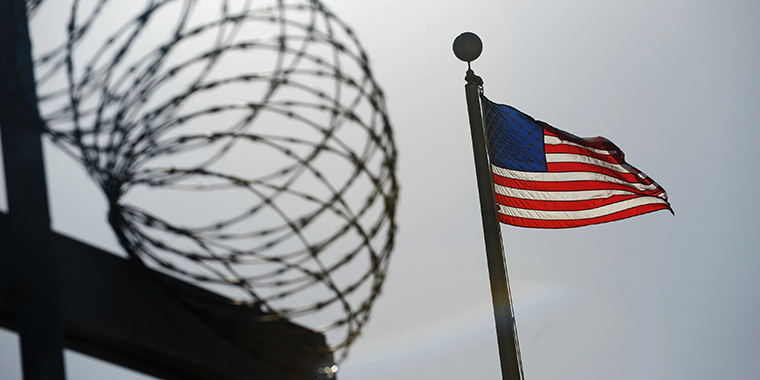 A U.S. flag flies above a razor wire-topped fence at the Camp Six detention facility at the Guantanamo Bay naval station, on December 10, 2008. Terrorism is not a new phenomenon, nor is it limited to a geographic area, grievance, goal, or method. It is a large bucket into which many different groups, pursuing a wide array of objectives, are thrown together. religious groups, which are acting on an extreme interpretation of faith. These categories know no geographic borders. While the main religious threats today come from those acting on their interpretations of Islam, members of the Japanese cult Aum Shinrikyo killed dozens in a 1995 sarin gas attack at the behest of their religious leader. And while recent left-wing groups have been centered in Latin America, the Italian Red Brigades and the German Red Army Faction were major political terrorist organizations in the 1970s. The European anarchists of the late 1800s, considered the first modern terrorists, are usually designated as the first wave. The anti-colonial, ethnonationalist wave began in the 1920s, coinciding with the surging popularity of self-determination after World War I. The New Left wave, beginning in the 1960s, was largely a response to the Vietnam War. In the United States, it manifested in left-wing groups such as the Weather Underground. Since the 1980s and particularly since 9/11, religious groups have been the dominant terrorist entities around the world. In the United States, right-wing extremists are responsible for the greatest number of violent attacks. Longstanding U.S. right-wing groups re-emerge periodically, often in response to social changes they dislike. The Ku Klux Klan, for instance, which got its start in the 1860s as a paramilitary force repressing black emancipation, was popular in the 1920s when it opposed Jewish and Catholic immigration and in the 1960s during the civil rights movement.